I saw this post on FB today and thought about the various ways in which the Church “houses” the Eucharistic species of the Lord. To say that there is but one way to think liturgically and theologically is limited. 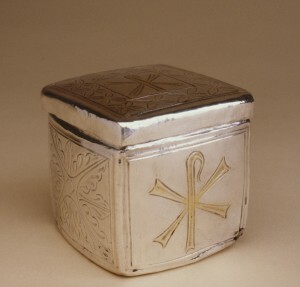 What you is an “Eucharistic Box or Reliquary,” made of silver, traces of niello in the early 5th century in Kurin, Syria.